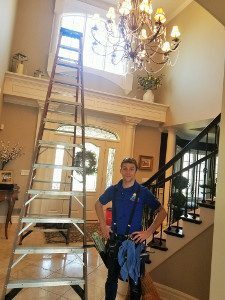 You have a lot of options when it comes to window cleaning services in the greater Lansing area; be careful who you let in your home at Great Lakes Window Cleaning we’re careful to select people we would trust in our homes to train as window cleaning technicians (see our About Us page). 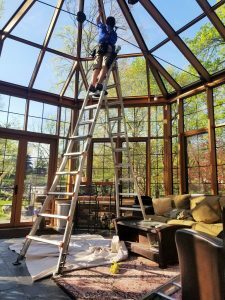 Great Lakes Window Cleaning is A Truly Local Lansing Window Cleaning Business; all of our people have homes, live, shop & play in or near the Lansing area! 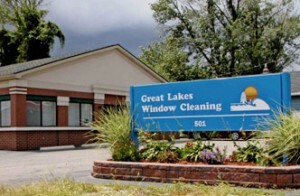 The Founders & Owners of Great Lakes Window Cleaning have their House within the City Limits of Lansing, Michigan; plus we own our Great Lakes Window Cleaning Lansing office location; (a real Brick-and-mortar commitment to Lansing ) and support our community along with paying Lansing property, payroll and other taxes. 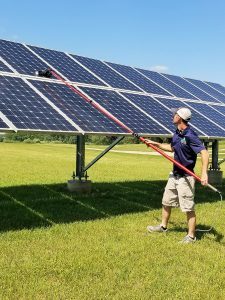 Chances are we’ve been trusted to take care of your Neighbor’s windows for years; Find out why most people have chosen Great Lakes Window Cleaning for their Lansing, Michigan Window Cleaning needs since 1980. Today, Great Lakes Window Cleaning provides Window Cleaning Services in Lansing as a family-owned business, not an impersonal, distant franchise – while big franchise operations tend to have great looking marketing materials; Our marketing materials, website and photos are of people who are our actual employees who live right here in the Lansing area; the very same people that will come to your home. We have been dedicated to our local Lansing customers and their satisfaction right here in the greater Lansing area for over 38 years. We like to think we’ve brightened a few Customer’s Days . Our Lansing based Window Cleaning Technicians have been trusted in and out of the Lansing area’s premier homes and businesses since 1979! 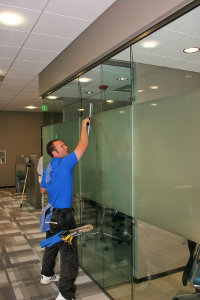 GREAT LAKES Window Cleaning Service: For your Lansing Home, Business, Office Building or High-Rise. 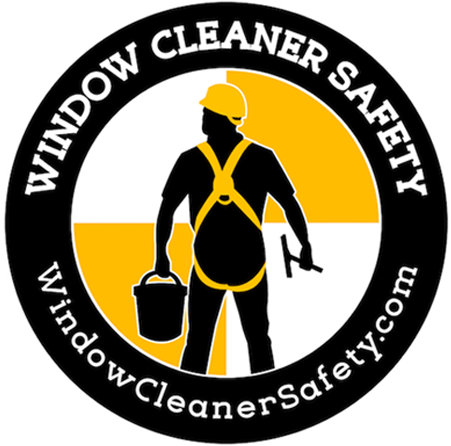 Trained and experienced Window Cleaning Technicians providing First-Class window cleaning service to the Lansing Michigan area since 1979. There’s nothing quite like the feeling of a sunny Lansing day with freshly cleaned windows! 501 W. Mt. Hope Ave.